When a human resource director contacts me for business etiquette training, most often they request the module on how to build relationships both internally (co-workers) and of course with their clients. Usually they comment on how no one is having a conversation, someone in the office doesn’t understand how to show an interest in the other person or just a general idea on what it means to be likeable. The most important point in gaining influence and growing your business is developing people skills. Think about it. 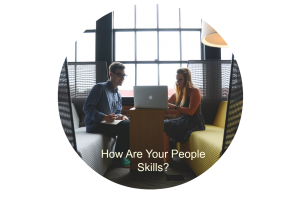 How are your people skills? How about your team’s people skills? We were not taught this in kindergarten. The great news is this can be learned. It is easy! Becoming likeable needs to be a top priority for your business. No matter how far we have come with technology, people and how you work with them will always matter. It is surprising how many of us forget how important it is to build relationships. Building relationships brings opportunities to us as individuals and to our companies. Have a conversation: As simple as this sounds, start building a relationship by asking questions. Not any question but one that shows a genuine interest. You can start by asking someone about a project they are working on or about their most recent vacation. Find something interesting to discuss. Creativity rules in business today. If you are having lunch with a client or interacting with a new co-worker, plan ahead and think about interesting topics for discussion. What can you do to be more interesting and noticeable at networking events? Yes, the networking events that are in person! Wear a bright color. Why get lost in a sea of black? For men, that might look like a great tie, for women a bright jacket or scarf. Stand out. Those with whom you have had an interaction with will remember you as you follow-up with them after the meeting. Attitude: What is yours and why is it important that you have a good one? Good moods and smiles are contagious. If you are pleasant, enthusiastic and courteous, people want to be around you. People will easily remember why they liked you. Invite someone to coffee: Sending an invite for coffee has never been easier. Microsoft announced recently it now has a new plugin for users to email electronic gift cards to set up meetings at nearby Starbucks locations. Yes, that’s right, Microsoft and Starbucks are partnering to promote meeting in person. How is that for using tech and people skills! Send a thank you note: Yes, a handwritten one. Send one to the person who invited you to coffee at Starbucks. Let them know it was a pleasure to meet them, mention a topic that was discussed, express gratitude for the cup of coffee and that’s it. Stamp and mail it. This is what it is about….people skills. 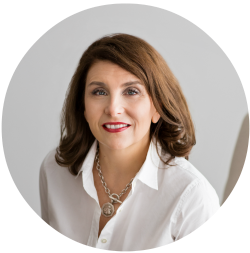 If you are interested in learning more about a business etiquette training session for your team, I invite you to have a conversation. Whether we decide to work together or not, I am confident our call will be full of insights. To follow The American Academy of Etiquette on LinkedIn, click here.